We are culturally and linguistically competent in both English and Spanish. We Specialize in early intervention and pediatrics. We service both children and adults. 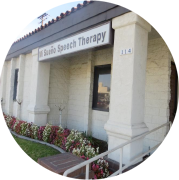 Our clinics are a national insurance provider for Speech Therapy and in-network PPO provider with all major insurance companies, you can have your doctor refer to our clinic today!